It is with a heavy heart that we have to report the death of Geoff Wickens on Thursday 15 March 2018. 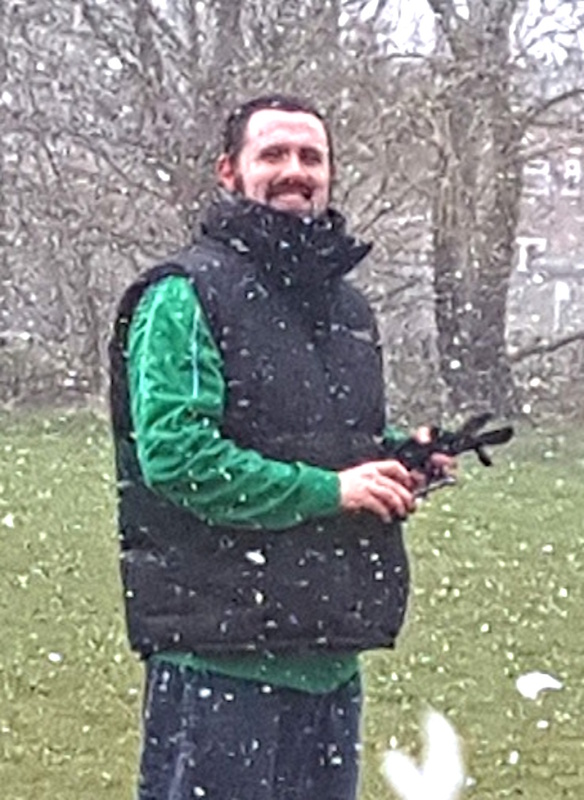 Geoff, whose connections encompassed his love of both cricket and football, is quite frankly irreplaceable. As a long standing administrator for both the Ashford & District Saturday League and Ashford Charity Trophy, as well as a divisional representative of the Kent County FA, Geoff’s work was unsurpassed. 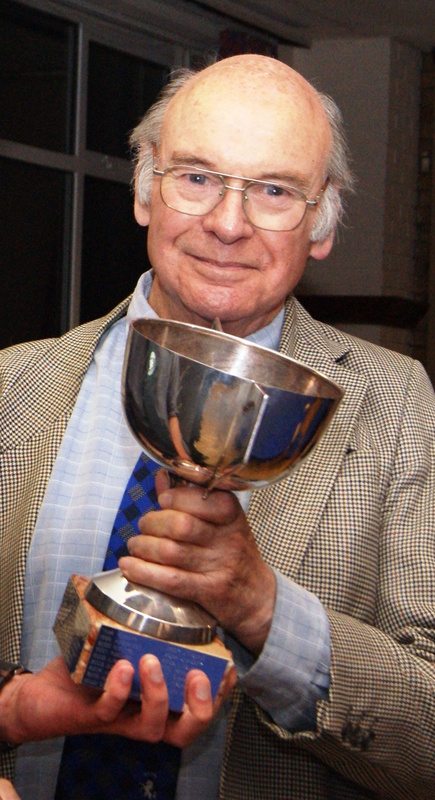 Without doubt, the community of Egerton owe all to Geoff for their fantastic sporting facilities. Football has lost one of its true gentlemen. From all at Bromley Green FC, RIP Geoff Wickens. 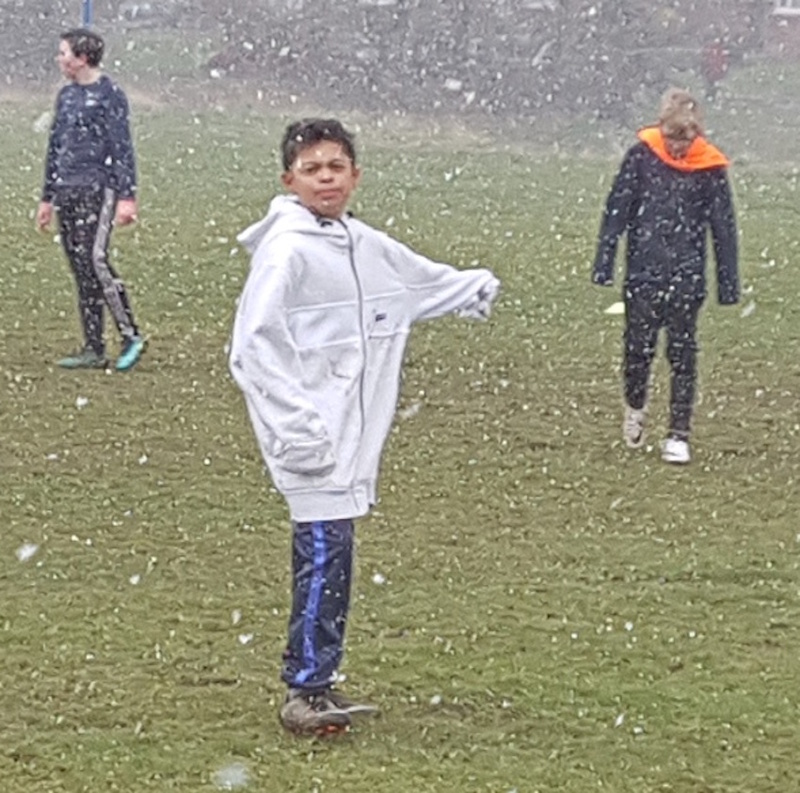 It was an extremely cold snowy morning and we welcomed park farm, We had the minimum 5 players, Well done to all the players from both sides and the supporters that through the blizzard watched a well contested game! First half was very even and both teams performed with heart that is not often seen in these condition from such young players. Second half the Bromley green lads performed very well and seem to gel as a team with some great movement and passing throughout the team. With a goal from Ibrahim and 4 from Ben. Also well done to our Ref Toby who really excels reffing this age group. 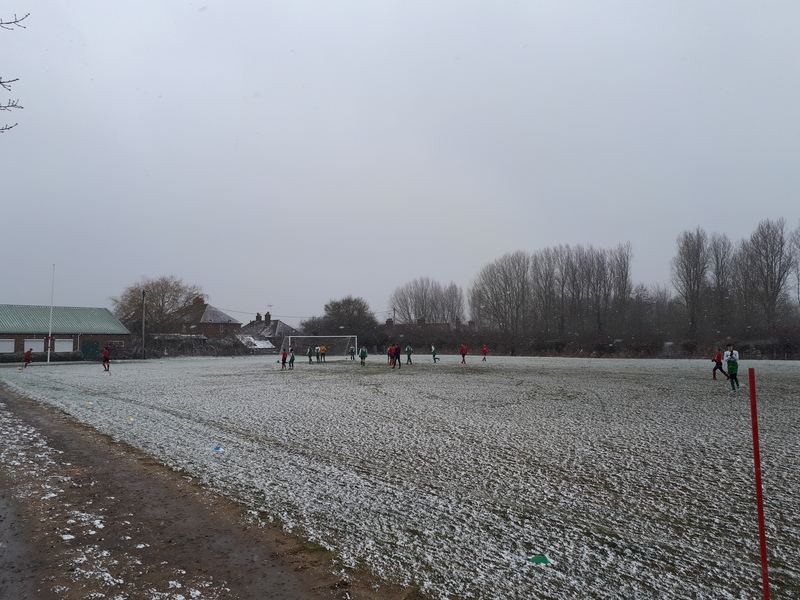 A brilliant second half comeback at snowy Smeeth this morning earned the Under 15s a 4-3 victory to end their long barren spell. Two-nil down at the break, the boys fought back to take the spoils through Kai (2), Lashman and Jordan. Mark Fuller gave the Player of the Match accolade to Olly. 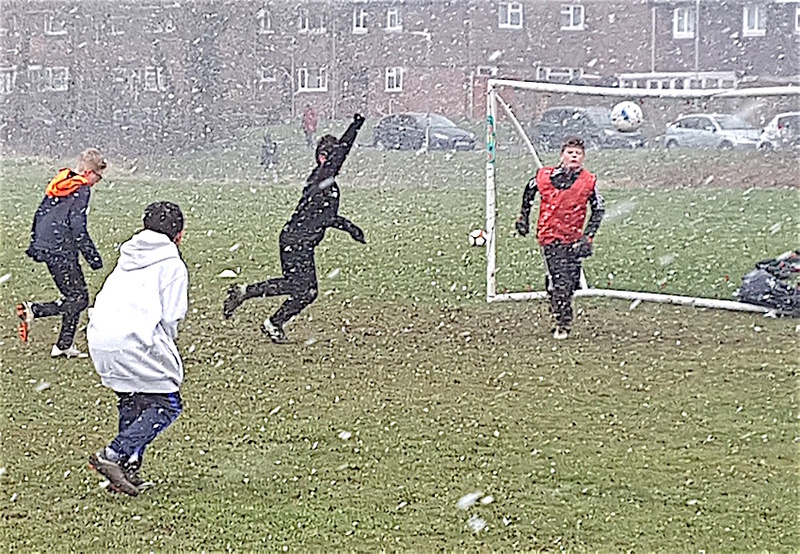 Pictures from Mark Smith suggest it was a tad wintry! 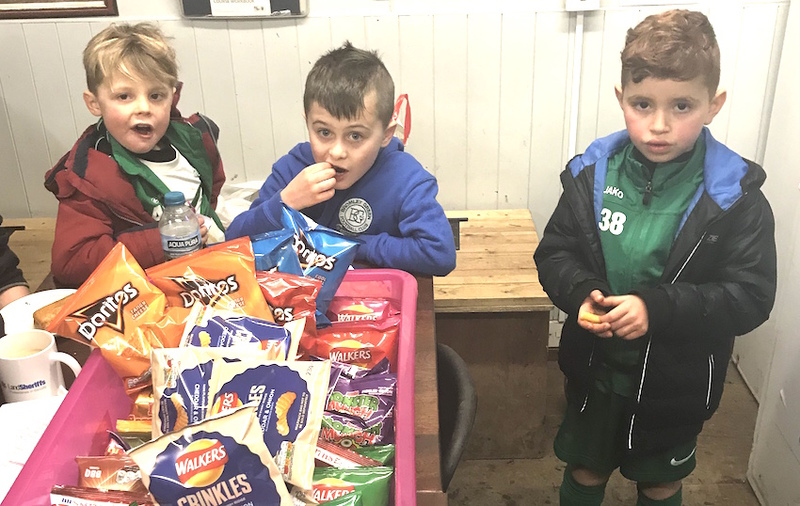 Goals from Player of the Match Ibrahim and Benjamin (4) were the highlights of a cracking game with Park Farm Rangers this morning. Well done all! 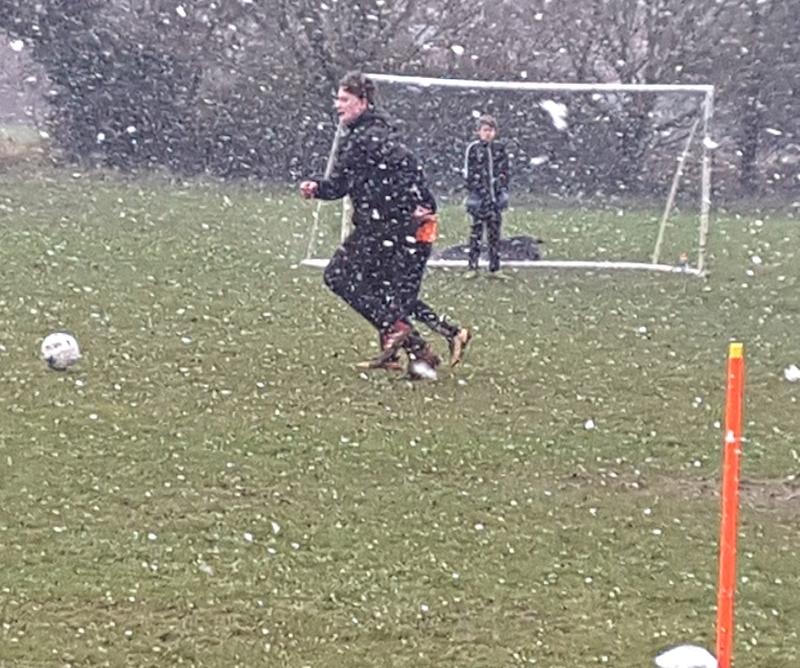 Superb attitude by the lads this morning who had no match. 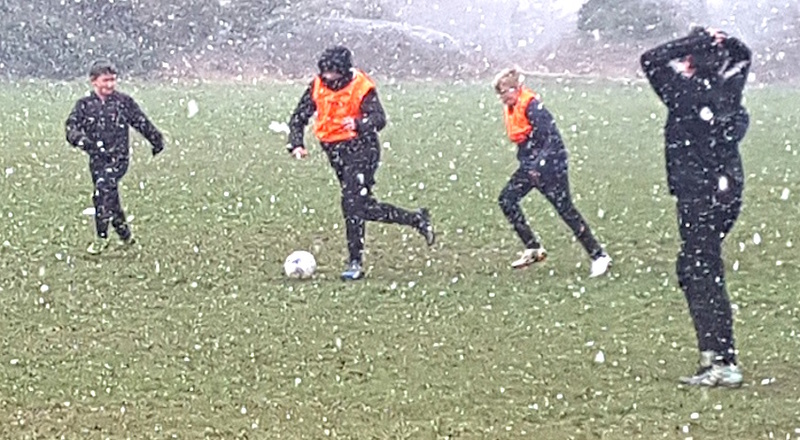 We are praying for kinder weather when relaunching girls football project at the club. The date is set for Sunday 8 April and James will give further details nearer the time. The FA’s Girls’ Football Week is 23 – 29 April 2018.